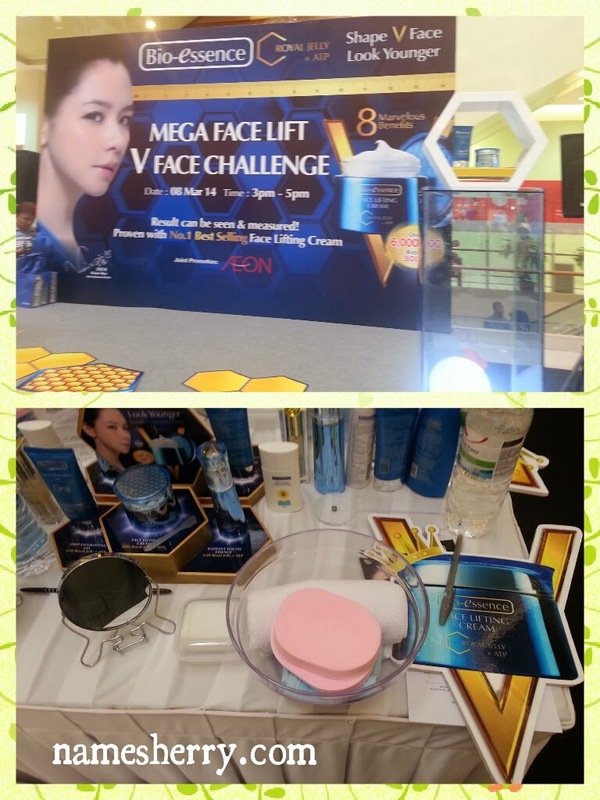 Today is the day where I joined the Mega Face Lift V Shape Challenge at Aeon Bukit Tinggi. How many of you have register for tomorrow challenge? It has been a year I haven't step foot in Aeon Bukit Tinggi mall. I guess it was my lucky day that I able to park at basement. My car parking just a level under the challenge area. Look at above the seating I have got for me to experience the Mega Face Lift V Shape Challenge. Each challenger has a number for them, behind the chair has numbered the challenger's number. It is easy for challenger to know where they are seating. It is a wonderful day for me, I feel pampered and yeah they have changes on my challenge result. 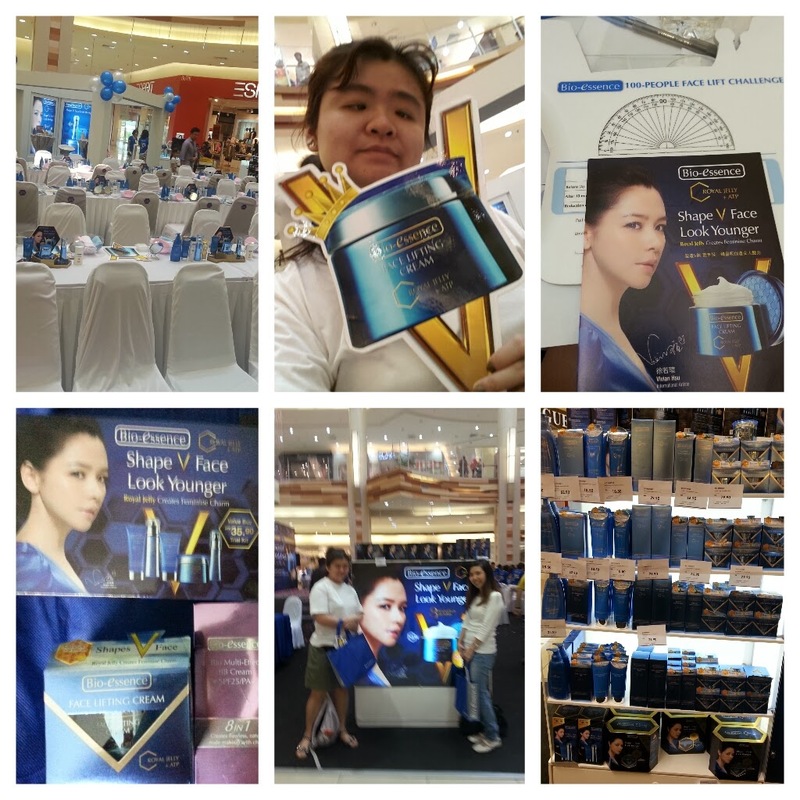 The emcee will tell each steps of skin care product use on spot. Don't worry if you don't know anything about this challenge, they will be Bio Essence staff to assist you. Though I am not the one of challengers that lose 10cm. My face reduced 5cm in the challenge result. Above picture from left is the goodie bag I received, I met Sanny after the challenge. The goodie bag also contained a RM50 voucher where you can use the same day only.